Posted December 22, 2016 & filed under Events in Dewey Beach DE. It may only be December, but with the seasons flying by so fast, this April’s Coastal Delaware Running Festival is going to be here in the blink of an eye. A USA Track & Field certified course and a qualifier for the Boston Marathon, the CoDel Marathon has been called Delaware’s best marathon! The event offers running options for everyone with marathon, half marathon, 9K and 5K options to choose from. Not only is the CoDel Marathon an awesome race to run, it is an event that benefits Delaware Seashore Preservation Foundation and Delaware Seashore State Park (one of our favorite places to spend time in Dewey Beach). With beautiful views of Delaware Seashore State Park, Cape Henlopen State Park, and Junction and Breakwater Trail, the race runs you through some of the most scenic views of the Coastal Delaware area. Packet pickup, welcome party and finish line celebrations will be hosted at Lighthouse Cove, with the walking-friendly 5K taking place on Saturday, April 22. 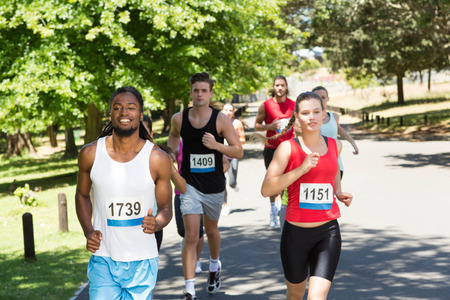 The marathon, half marathon and 9K will all take place on Sunday, April 23, with festivities following the races until 3 p.m.
Click here to learn more about this incredible fundraiser and marathon event, and then get your sneakers on to start training! Looking to book a hotel nearby? Atlantic View Hotel offers oceanfront rooms at affordable prices right in Dewey Beach. We have the perfect place for you to rest and relax after your hard-run race!